In Fashion designing CAD-CAM plays wide-ranging and extensive applications. To have an elegant and competent work almost every machine can be interfaced with computer. By knowing the steps of clothing construction and fashion designing, CAD-CAM technologies uses in fashion designing can be illustrated well because in each step use of CAD-CAM can develop the process. Since it digitizes and simplifies the entire design process, CAD software has all but replaced the traditional drawing board. Recent CAD software affords opportunity to stay away from small operations and manual work, to lift up meticulousness, productivity and organize information flow. The usage of garment designing systems eliminates the time-consuming manual preparation of patterns, creation of layouts and repositioning of written information. The computer systems are meant for the execution of every single process and the integration of all processes into one joint flow, for the organization of logistics and the mobility of work tasks. The students of the Institute of Textile Materials Technologies and Design, are enrolled with different levels of training – with and without knowledge in garment designing. Preliminary knowledge of the students is superficial or feeble and needs to be enhanced. So therefore, before getting knowledge about CAD-CAM software, all students have to master apparel designing. Apparel designing taught about sketching, constructing, designing and gradation of templates. To gain knowledge of CAD-CAM software in textile, there are many software, they are as follows Grafis, Comtense, Staprim, Lectra, Gerber and Koppermann. Students should obtain understanding on the formation of the clothing CAD system Lectra; development ethics and utility on the basis of Modaris V6R1; the principles of garment pattern design; the rules of pattern grading by size; the definition of a style and its versions; marker making subsystem Diamino V5R4; choice of styles and sizes; creating markers on fabrics with definition and changing parameters; preproduction garment specifications using KaledoStyle V2R2; preparation of pattern blocks for 3D imitation in CAD. 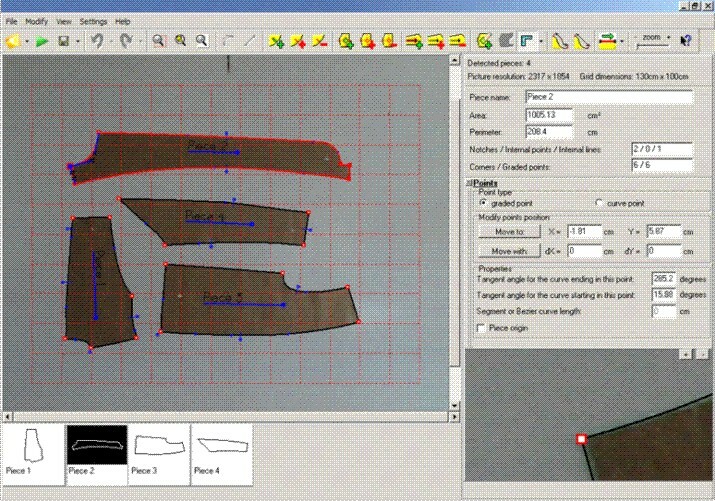 The gaining of systems takes place together with practical apparel designing – the manually accomplished tasks are performed on the computer afterwards with the help of the CAD-CAM systems. Thereby, the existent knowledge is extended, new knowledge is acquired and work productivity and the usage of CAD-CAM systems is favored.